Zalmox, Derzelis, H.E.N.A., L.A.U. and G4 attended the 23rd edition of the Gaudeamus International Fair! 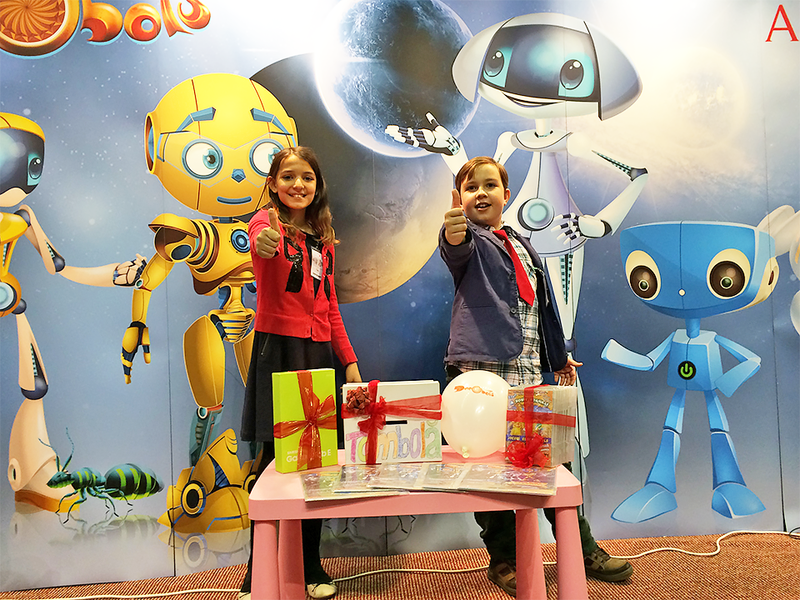 Every child had the chance of exploring the Dacobots Universe with the latest Samsung television! From 16th to 20th November, all the book lovers, as well as all the culture and education enthusiasts visited the Central Pavilion of Romexpo. Same as during the previous editions, the Gaudeamus International Fair hosted over 800 cultural events, a wide range of publishing houses and plenty of discounted books! Such an event could not have been left unnoticed by the five Dacobots, the virtual trainers that travelled to Earth from all over the Universe! The five Dacobots have a passion for education, as well as a fascination with the sharpness of humans. For four days, the Dacobots were happy to welcome hundreds of kids at stall no. 240 and present them the elearning games on the Dacbots.com portal using a Samsung television. The kids were convinced that learning and having fun are not incompatible! The generous Dacobots also organized a raffle. The winner of the first prize, Cosa Ortansa, now owns a Samsung Galaxy Tab E and a Dacobots magazine which includes a coupon (see details below). The second prize consisted of 14 CDs from the EduTeca Collection and a Dacobots magazine with a coupon. Iana Mioara and Gruescu Alexandru were the winners of the second prize. The third prize comprised the eight CDs included in The Four Seasons series and a Dacobots magazine with a coupon. As soon as the Fair ended, the Dacobots packed up and returned on the Dacobots.com platform. They made a lot of friends during the four days while Fair lasted. The Dacobots wanted to keep in touch with all their new friends, so they offered everyone the Dacobots magazine. Little did the children know that the Dacobots had included a little surprise inside the magazine! The readers discovered a small coupon with a secret code on it. 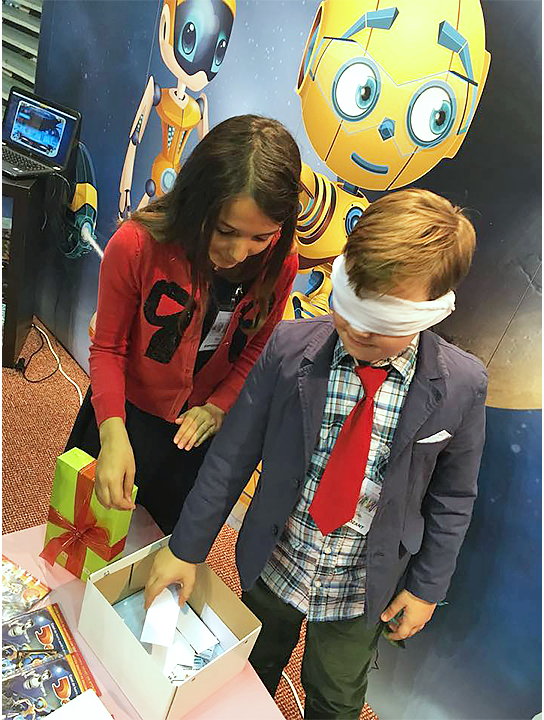 By introducing the secret code at www.dacobots.com in the ‘Membership’ section, kids will gain free access to the portal for one month. The five Dacobots are eager to meet you again on the portal!